Robert A. Dahl, a lifelong Staten Islander who following his service with the Navy during the Korean War worked for more than 30 years at Procter & Gamble’s Port Ivory plant and touched the lives of hundreds of youth baseball players as a longtime coach, died on Dec. 31 following a brief illness. He was 87. Dahl graduated from Port Richmond High School in 1948 and worked as a Merchant Marine, following in his father’s footsteps, before enlisting in the Navy in the spring of 1951, just months after the outset of the Korean War. Dahl proudly served his country primarily on board the US Chikaskia, a 553-foot-long tanker with a 146,000-barrel capacity that refueled ships in the Yellow Sea off the Korean coastline during the war, before receiving an honorable discharge in November 1954. After his return to Staten Island, Dahl married the former Elizabeth Ann O’Brien in 1956 and they eventually settled into the Westerleigh neighborhood, where they lived and raised five children before their divorce in 1981. Dahl was employed at Procter & Gamble’s Port Ivory plant on Staten Island for more than 30 years before his retirement. During the mid-1960s, he also represented his fellow P&G employees as secretary-treasurer of their local with the Independent Oil & Chemical Workers union. 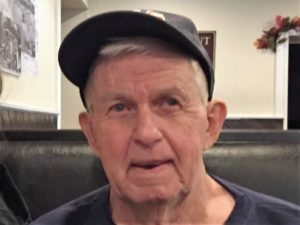 A lifelong sports enthusiast, Dahl played varsity baseball and basketball for Port Richmond High School and continued playing baseball, basketball and softball through the late 1960s. He also enjoyed playing tennis and was a longtime member of the Hillside Swim Club. Dahl was also known to hundreds of Staten Islanders who grew up on the North Shore during the ‘60s and ‘70s as a no-nonsense baseball coach who stressed fundamentals and discipline. He coached throughout that period in Mid-Island Little League, Mid-Island Babe Ruth League, the Cichon Post American American Legion team and Port Richmond High School’s junior varsity team. Dahl is survived by sons Jeffrey, Christopher, David and Russell and daughter Elaine, as well as by eight grandchildren. A memorial service will be held at the Cherubini McInerney Funeral Home at 1289 Forest Ave. on Saturday Jan. 6 at 1 pm. I did not know him. Heard of his passing from his son, Russ. After reading his obituary I am sure we can ill afford to lose too many like him. Sorry for the loss.